Today marks an anniversary that I will be celebrating with my husband, a glass of something and huge cuddle with the dogs. The anniversary? A year ago today, at approximately 4pm (or 16:00 if you prefer), I suffered a nervous breakdown. It changed my life, initially for the worse, however, long term, it is definitely for the better! I have learnt so much over the past year, about me, about what’s important, and also quite how much my dogs helped heal my soul. 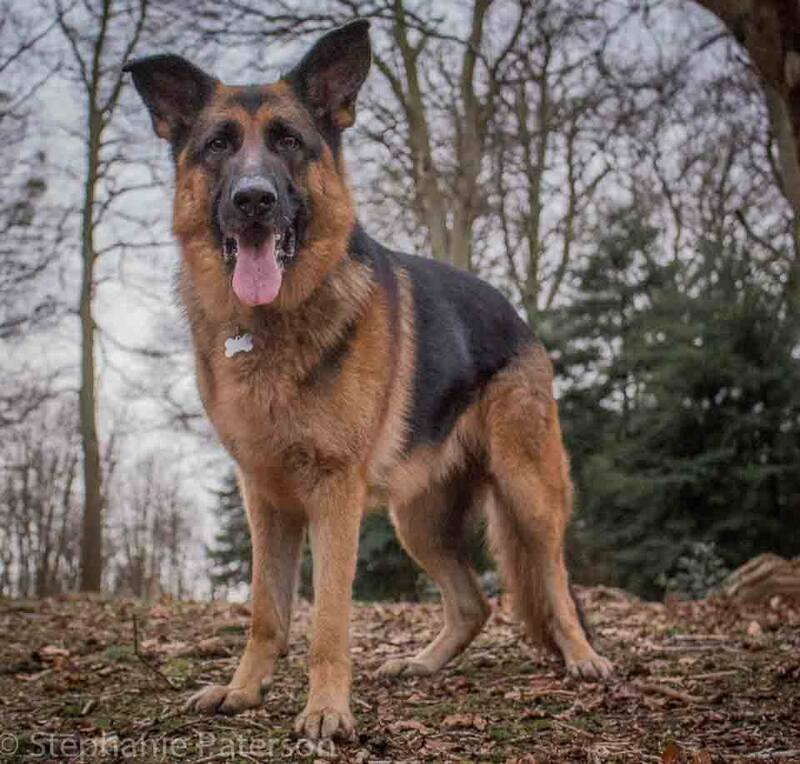 Dibbs, our male German Shepherd, was my counsellor; lying on our bed, listening, without judgement, giving me little GSD kisses to let me know he cared (or he wanted dinner, one of the two!). Tilly, our little old Black Labrador, became my permanent shadow. Lying close to me whenever she could, or staring at the shape of me through her cataract eyes, and delivering more kisses than the doctor ever ordered. Daisy, our female German Shepherd, patiently let me groom her again and again. We developed a lovely relationship – she now acknowledges there are two humans in the house (“her human” is Martin, my husband”), especially when she wants something! Of course, on top of this, walking them meant instead of getting recycled, air conditioned oxygen of the office, I was getting fresh air (and cold and wet!). Dogs healing a person’s soul, and helping with stress is nothing new – it’s been well known and documented how animals can help prevent or reduce stress. 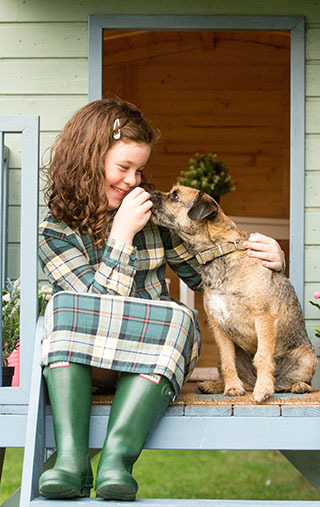 Dogs help kids with stress too! Research conducted by the US Centres for Disease Control and Prevention (CDC) tracked 643 children aged between 4 and 10 over 18 months, studying many aspects of their lives, including mental health. 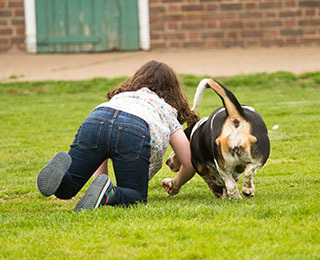 The study found that of those children who lived in a household with dogs, 12% of the children tested positive for stress, whereas those who lived without a dog, the number jumped to 21%. 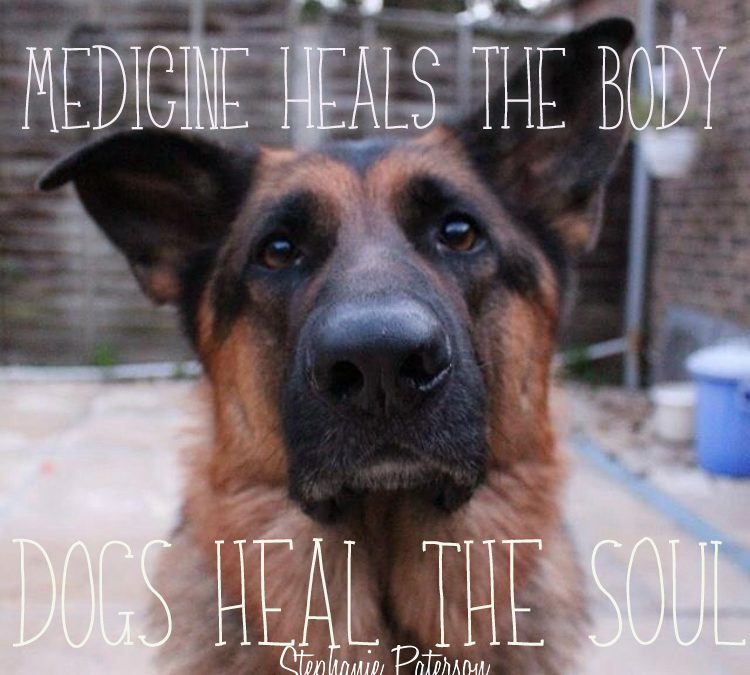 That’s the scientific way of putting it – I’d say it was more looking into my dog’s eyes, feeling their unconditional love and having their friendly, warm and hairy bodies is sometimes all I need to heal my soul! 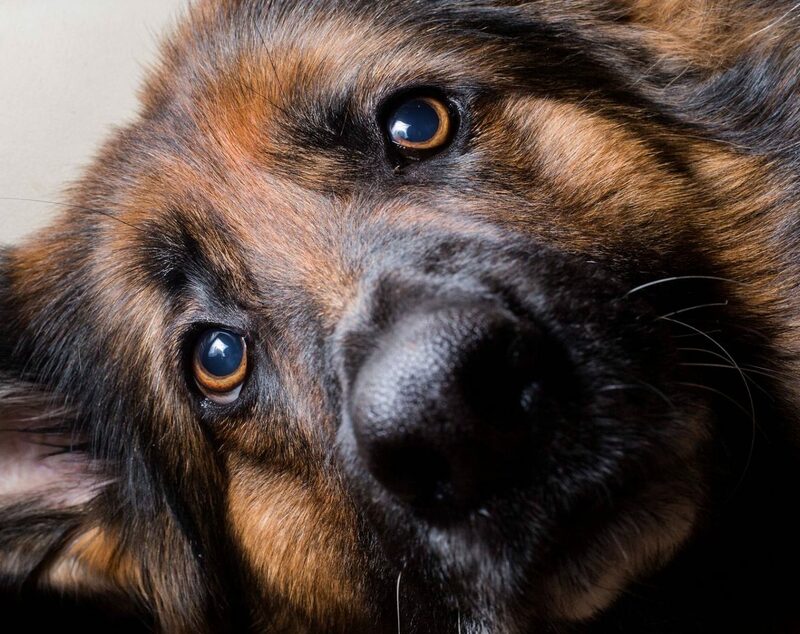 A way that dogs are used to combat stress is becoming more commonly seen – they are often paired with PTSD sufferers, or are taken to highly stressed situations to provide immediate stress relief. There are various reasons why dogs may help PTSD – their vigilance and protection looking after their pack. In addition to loving unconditionally without judgement, they also give positive reactions to displays of love given to them, which may in some way overcome the feeling of fear. My dogs were definitely instrumental in helping me overcome my breakdown, and continue still to this day. They are my healers, teachers and in the case of Tillie, is still my constant companion, who always manages to lie exactly where I want to go, always gets up when I go to step over her and still stares at me through her cataract eyes. 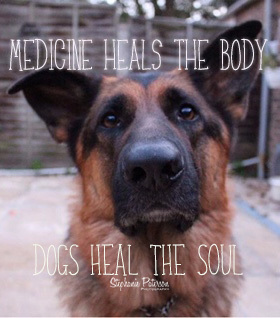 Dogs have a kind, innocent soul that reaches out to ours, helps us heal and gives unjudgemental love – I wish there was a treatment available on prescription! I have not gone into any detail about my nervous breakdown, but it was induced by stress. If you feel you may be suffering from extreme stress (please see the link below), then please do consult your doctor as soon as possible. Make sure you're always up to date with the latest news and offers! I absolutely promise not to send you spam - I hate the stuff myself!